The Sydney Flying Squadron today however enshrines much of Foy’s vision. The historical 18-Footers battle with coloured insignia to allow spectators to distinguish each skiff in following events. They sail courses because of a ferry of onlookers following the competition, and a timed handicap begin allows a thrilling, first-over-the-line finish when it comes to ferry patrons. These unique wood ships keep alive the abilities and excitement of ships you would generally only see in a museum. From very early October to Easter, the SFS sails the Historic 18-foot skiffs on Saturdays. The Club in addition hosts other open vessel or skiff classes, such as the 12 footers. A separate spectator ferry works on Saturdays during the sailing season, providing an outstanding harbour cruise while after the 18-footers’ rushing. It really is effortlessly best worth, and a lot of aesthetically exciting cruise on our magnificent harbour! Situated after Careening Cove, Kirribilli, the Sydney Flying Squadron clubhouse enjoys dazzling water views and it is situated alongside Milsons Park which offers a large grassy rigging area. It is an excellent picture on Saturday mornings in summer, when the historical 18-footers are rigged on the lawn, before starting along the ramp next to the Club the afternoons’ race. 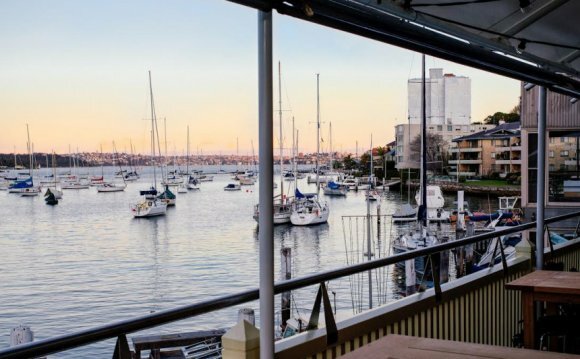 Services include a boatshed, wharf, balcony, bar in addition to stunningly refurbished Foy’s Kirribilli Restaurant – the perfect place for all you personal events. A café runs regarding reduced deck, accessed from Milsons Park. Membership is available to sailing, social and local people and offers best worth of all amongst Sydney Sailing Clubs. The area cannot be bettered.